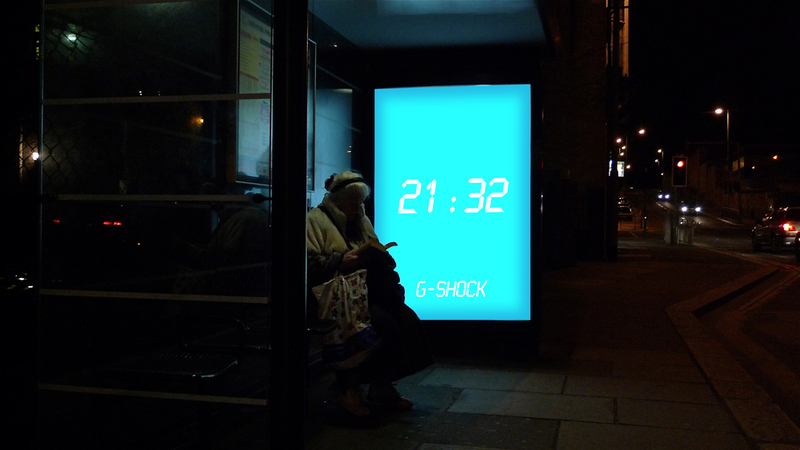 A campaign for G-Shock watches highlighting it's unique auto-LED feature. When the watch detects darkness the LED automatically lights up. Darkness revealed. An ad panel will be placed on the bus shelter. The panel will light up when it detects darkness, providing the light source for the people waiting for buses. Series of panels next to the escalator. The panels would contain movement sensors and automatically light up when a person passes by.